lising, publishers of 3D Artist Magazine. Issue #24, Monday August 07, 1995. 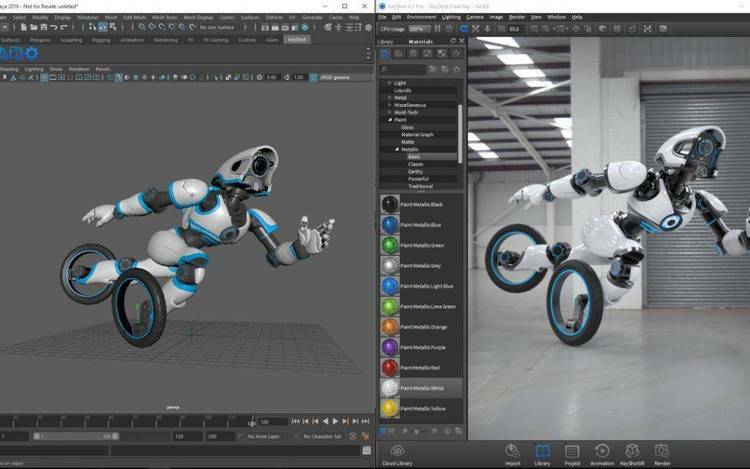 Tessellation Times – newsletter for AutoDesk 3-D Studio. Send your 3D news tips to . It's free! Send a message to stating simply "subscribe"
compressed with the appropriate DOS-style extension (ZIP, etc.). Reposting to *mailing lists* is _not_ recommended. we can vouch file integrity. carrying this file or pointers to our HTML editions. HTML is only approved for straight text without additional markup. Bill Allen, Publisher & Pres., Columbine, Inc.
Sally Beach, Vice Pres., Columbine, Inc.
un-embargoed. We also expect to be posting photos from the show. ACM Siggraph, 401 N. Michigan Ave., Chicago, IL 60611; 312/321-6830, -6786 fax. Northern Ave. (617/439-5000), and the Bayside Expo Ctr., 200 Mt. Vernon St.
(617/265-5800). Registration for exhibits is $40 (cash only) at the door. Conference and exhibit registration is $150. and globe trotting author will also be there teaching classes on 3D Studio. Contact James Murphy Consulting 414/435-7345, -7395 fax; CIS 71165,1321. CD-ROM. RSVP to 505/298-0838 or 800/460-0388. development package for Windows using Microsoft's Reality Lab engine. VCreator features into your applications now. program later this year if you buy the DOS version now at $495. timelapse AVIs, backdrops, and a CD-ROM of over 500 3D business objects. and get at all the data. in TGA, TIF, BMP, and JPG formats. See 524.05 below for more Visual Software news. casts will be sold at the end of the show to benefit Doctors Without Borders. with files in gallery libaries 19 and 20 ("go graphic"). marketplace. This expo includes workshops, showcases, and panels. number of the models have movable parts and are capable of being animated. Studio plug-in browser for viewing and managing 3DS formated files. offered at an introductory price of $149 ($249 for both) until Oct. 31, 1995.
a film recorder module with output to 2K, 4K, and 8K ($3,995). 17" monitor, 4Gb SCSI drive, and a video disc. of 60 hours of classroom instruction and unlimited free practice time. patented 3D High Definition Volumetric Display system (HDVD). R4400 chip for use in upper-level machines. and a 2Gb drive starts at $15,900. from 133MHz to 175Mhz without price changes. of the coming Animation Master 3.0 program. contains lots of choreographies, objects, and images to get you going. adding to an illusion of depth to "flat" media. Visual Reality now has its own forum on CompuServe: "go vissoft". CrystalEyes, Virtual i-glasses, and CyberMaxx. StereoCam and Interlve are available now from Northwest Tech. QFX, the digital painting and image composition program from Ron Scott, Inc.
has support for the new Wacom erasing pen. You can see QFX at Siggraph in the Wacom Technologies Booth #2439. CadWorks, Inc. reports it is shipping Drawbase 2.0 ($600) for Windows. and a Drawbase programming language. processors in running animation and imaging applications under Windows NT. recognizing the value of compiling for Alpha NT. as on comparable DX4 systems.--B.A. AutoCAD with AutoVision rather than having to go to 3D Studio. 2607 to find out more.--B.A. might squeeze in if received by 1pm MDT on 14 Aug. Please mention TESS when contacting companies about products reported here! software, and topics of interest to freelance artists. subscriptions also available. *Rates increase September 1, 1995.